Do you need to lay bricks? Do you need to put down some tiles? Or do you just really like the Block? 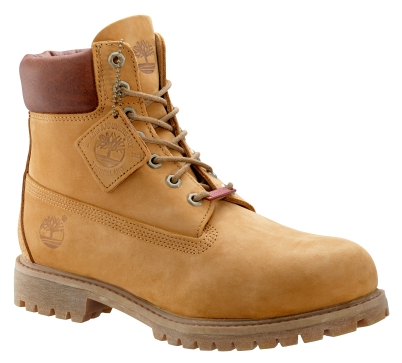 Timberland’s have almost had a monopoly on fashionable boots. They aren’t recommended out on the building site, but for fashion reasons, these heavy boots are all the rage. How does fashion work? Do you match the shoes with the outfit or the outfit with the shoes? So many questions! With these ‘6-inch premium waterproof boots’ making such a bulking impression, it is hard to see these not dominating the outfit. That’s not to say these shouldn’t be worn, but you’ve got to get it right. A flexible wardrobe would contain some boots and these ones seem to blend the best of the other Timberland combinations. Look up the collection yourself, and make up your own mind! Previous: Trend Report | Roberto Coin Jewellery… Vitality and Innovation..
Next: Trend Report | Royal Jewels… Cartier’s Royal Collection..